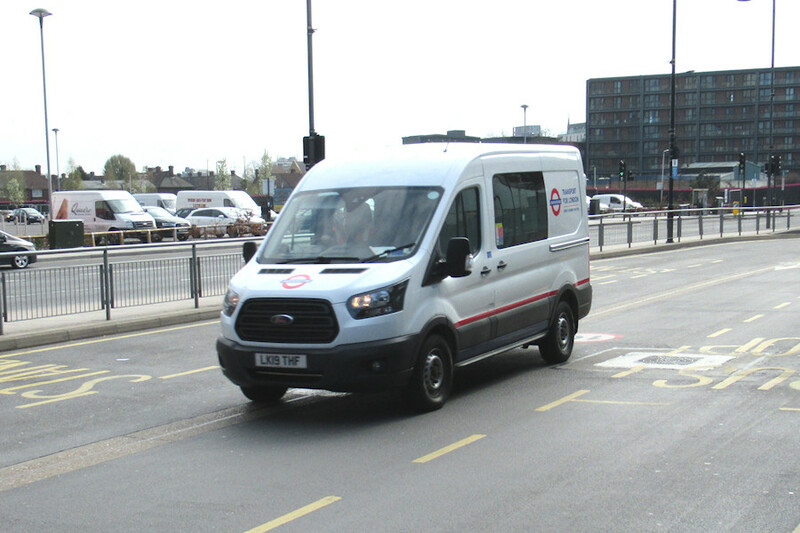 Details: A slightly rushed but pretty decent shot ensued when this van caught Ray by surprise at Canning Town Bus Station on 28th March 2019. A mid/mid (medium wheelbase, mid-height) Ford Transit Mk.8 crew van in LUL livery, it had a surprisingly high fleetnumber of 8831F. There must be a lot of vehicles on order to fill all the gaps.